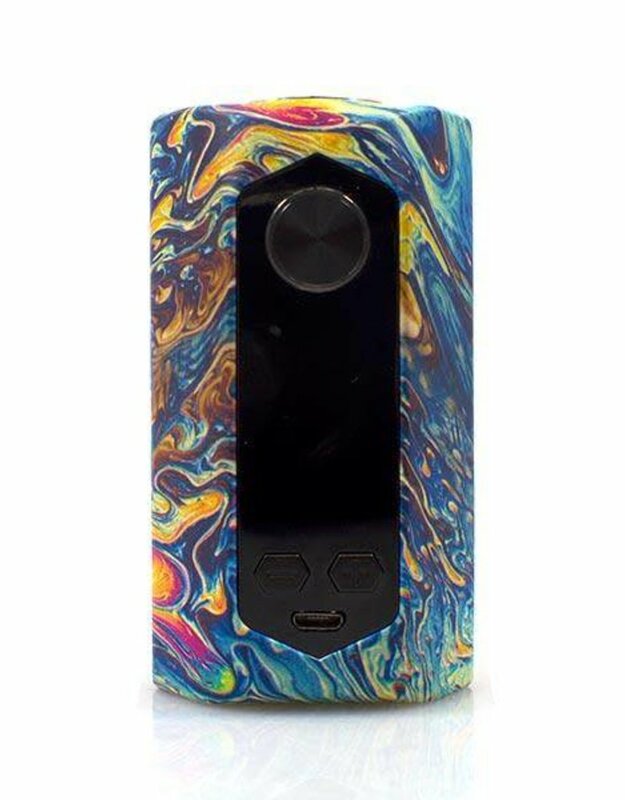 The Blade Box Mod by GeekVape is a 235W box mod with a full temperature control suite that is designed to extremely and can be powered by using a single, 18650, 20700, and a 21700 (sold separately). The Blade has can be set from 5W to 235W with the new and upgraded AS Chip Set. A magnetic battery door cover houses dual 20700, 21700, and comes with an adaptor for 18650 batteries (each batteries sold separately). The .91" OLED display is shown on a vertical menu with vape stats including resistance, amps, voltage, puff counter, and battery life. The Blade 235W has a full temperature control suite, VPC support, and BYPASS support. The construction of the Blade is made out of PPS + Fiberglass and stainless steel, making it an extremely light device. The Blade 235W TC Box Mod is a wonderfully designed device that boasts powerful battery life, a multitude of functions, and design.